The David M. Rubenstein Rare Book & Manuscript Library builds distinctive collections of original materials and preserves them for use on campus and around the world. 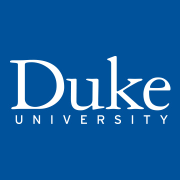 In support of Duke University’s mission of “knowledge in service to society,” we collect a diversity of voices in a wide range of formats, with a focus on our signature areas of strength. Our innovative use of technology, expert description and cataloging, tailored reference and instructional services, and engaging public programming provide a variety of ways to discover our holdings. We invite students, scholars, and the general public to explore the world through our unique collections.